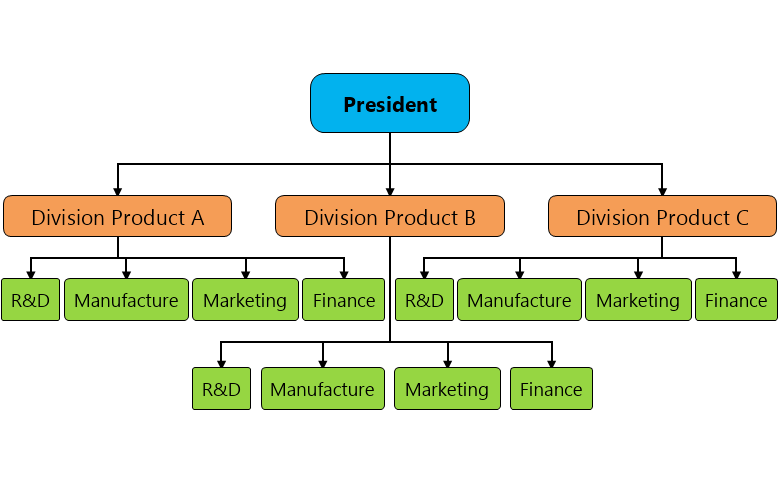 The Division Organizational Chart represents an organization in which the employees are divided in product line divisions. Each product of the company is separated as a smaller independent organization, containing many functional departments. This structure is suitable for large organizations with wide production line.